The sun was setting over New England on another glorious day near Bass Harbor. 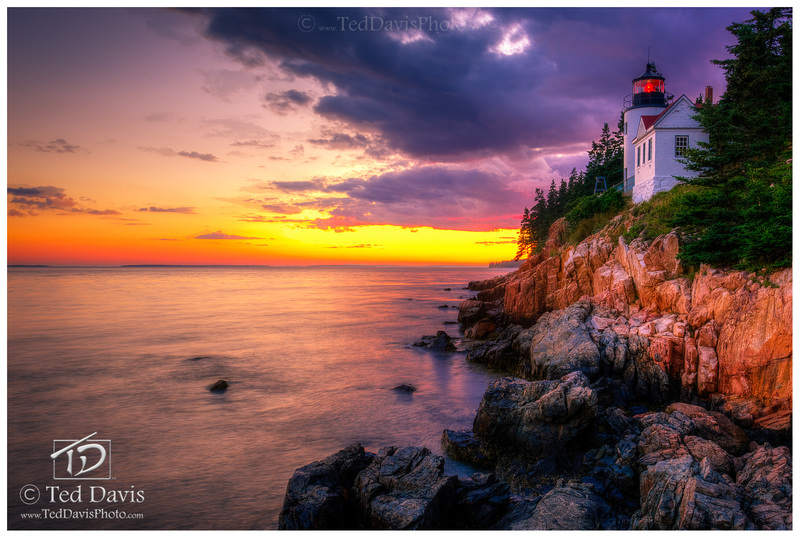 The lighthouse was positively radiant as the sun dipped below the horizon and the clouds were lit from below with the orange and red glow of sunset. The waves slowed and the shore rocks reflected the last remaining light as I snapped the shutter on an ocean sunset in Maine. Photo © copyright by Ted Davis.